Great to know! Thanks for doing the research guys. Have you had any success getting duplicate listings merged in the past? Curious, what route did you use to contact yelp? Darren and I were just talking, and neither of us knew what Yelp’s policies were, so I just contacted them. I think I went to http://www.yelp.com/contact -> Help me use Yelp -> subtopic: other. Thanks for taking the time to research this. I have seen Yelp pretty good at merging duplicate listings, they are probably better than anybody else to tell you the truth, well from my experience anyway. Thanks, Tyson. Yeah, in relative terms Yelp isn’t bad about merging listings. But it sometimes takes a nudge or three. I was shocked to learn that when I recently moved my business to a new location (only a mile away from the original), all 27 of my (mostly positive) reviews completely disappear and the new location is treated as a brand new business on Yelp. When I asked Yelp about this, they told me that the new location should be judged on its own merits, and that yes, I would lose the 4.5 star rating that I have been cultivating for over six years with my customers, even though the business model is exactly the same, the staff is exactly the same, our customer service is exactly the same, and the only change is that we have (dramatically) upgraded our space. Without soliciting reviews from my customers (which, I know, is a big no-no), how can I combat this blow to my business? 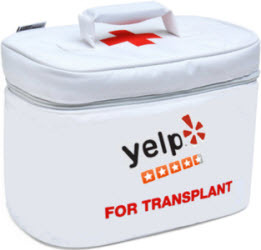 Yelp is a huge way that customers find me online and I take pride in the great reputation my original location has; I think it’s absurd that these reviews would not move with me, and I’m concerned that after a few months or so, Yelp will remove the old location entirely and I will lose all of those reviews completely. Has anyone else experienced this with their business? I agree, Lindsey; that’s ridiculous. There’s nothing you can do but what you did to earn those reviews in the first place. That’s a tough break, all right. So what happened? Did YELP remove your reviews when you moved across the country? YELP doesn’t always remove reviews due to moving a business and now someone else on this thread mentioned you can pay them. I sympathize with you. Yelp is an ugly giant that makes no sense. After I stopped advertising with them they marked all my reviews as not recommended, putting me from 5 stars to no stars. I’m going through this right now, we moved literally down the street and I lost all of my reviews. The worst of it is that I can’t even access them. When I search for my business I see two listing with one on top showing that I moved. When I click it, it just takes me to the new page with nothing on it. Thanks for contacting Yelp Support. To reflect a change in location, we will often mark the existing business page on Yelp as “moved” and create a page for the new location. The “moved” notation is meant to inform customers of this change and to direct them to your business’s current location. Thank you in advance for your understanding and we hope to see you on Yelp. — if you click the link you’ll find there is no link to your old reviews on your old page. Such a piss off. Yelp doesn’t always remove reviews of moved businesses. I’ve seen massage therapist relocate, even change the name of their business, and STILL retain all of their reviews. Honestly, I think this is a bad move for Yelp. If I’m looking up a business, I would want to see the history of reviews good or bad. Yelp doesn’t offer a link to see the old location’s reviews, even though Yelp support claims that they do. I think the real reason why Yelp does this, is to force business owners to startup with their expensive and ineffective ad campaigns. Agreed, it’s definitely to push their advertising. I’m still getting phone calls from Yelp reps asking me to advertise, and they are baffled when I sternly tell them no. I’ve explained the situation and how ludicrous it seems that they are continually asking me for money on top of this. I’ve noticed that since I have declined their overtures, new 5-star reviews will pop up on my page, and then be filtered within a week. I’m still hanging at only 17 reviews total, with 7 being “not recommended” and thus not shown, and not factored into my star rating. It’s really infuriating, particularly because my customers are great at showing their support and writing wonderful reviews! Well Lindsey, I understand how frustrating it can be, but I honestly don’t think Yelp deliberately filters reviews if you turn down their advertising offers. I notice that the reviews that do get filtered, are usually because the reviewer is not active on Yelp. Meaning they only have one review… no friends, no photograph, etc. I can understand this to prevent fraudulent reviews. Yelp will also filter out reviews that honestly, are pretty stupid or not useful. Just simply staying “Hands-down the best hamburger ever.”, and ranting with poor grammar, seems to also trigger the dreaded filter. That being said, the bottom line is that the whole removeal of reviews because a business relocated is utter BS. I WANT TO SEE THE HISTORY of a business when I look them up! Now they delete all the reviews and I can’t do my research on a business. Just because the room with a few changed, doesn’t totally changed the businesses methods, etc. I think its important to retain a businesses reviews. Sorry, Dotty but that’s simply not true – Yelp DOES deliberately filter reviews and changes your page visibility in a number of ways when you refuse to advertise. Sorry for the long post but when I started my business (wellness sector) we got a flood of five star reviews. They would stay up for 1 or 2 days then get filtered….but you could literally set your watch by the timing of: Yelp review —> Call from Yelp sales rep —-> decline advertising —-> Review Filtered. I knew this smelled bad, so I then started keeping a detailed log of the time of reviews, who made them and what stayed up and what got filtered. At one point I had 7 reviews showing and 34 (yes, thirty four) filtered reviews. These were not fakes or setups – real reviews from my clients that we worked damn hard to impress, and they took the time to write a review. The worst part was, every single one of those 34 filtered reviews were 5*, but the two 4* reviews? DIDN’T GET FILTERED! Funny that? It meant my overall rating was damaged. I then started looking at whether there was a pattern or at least good/legit reason that reviews might be filtered, such as brand new user yelp accounts or no friends linked – even Elite yelpers were getting filtered….and one of those two 4* reviews that stayed up? Brand new user, no yelp friends, no picture and only one review. The calls kept coming from the super pushy yelp sales people. I started to discuss this with them. “Why would I advertise, pushing more people to my yelp page when all the good reviews are filtered and my ratio of filtered to non-filtered was so bad?”. Then came some interesting info “When you arrive on a yelp page, YELP SORT is the default view. “What is yelp sort” I ask the sales guy. “It’s based on a number of factors”. “like what?” “er, different factors that we use to make a page ranking” So i start teasing that I might sign up. ” well if I knew what those factors were, I could make an informed decision on how to advertise best with you”. I could hear him getting excited now. After a lot of coaxing, I managed to get out of him that Yelp Sort is based on a combination of page views (impressions) as the primary factor, then number of reviews multiplied by the star rating. And here’s the kicker: what does advertising with yelp give you? guaranteed page views, Yep, becuase those little paid for banners count as page views (but really they’re not, are they?). Now think about this a little deeper. 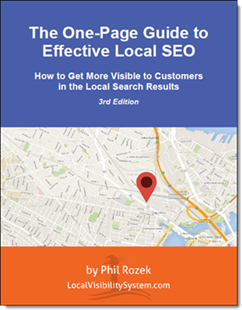 If you have a high number of 5* reviews, your page ranking is going to be higher for certain search terms (like Gym, or hair Salon) but that’s not good for yelp, becuase you’ll start to get high amounts of page views and that means the people paying yelp for advertising (page views) could be lower than a well performing non-advertiser. So it’s in their interest to knock down that star rating, becuase that means a lower page rank. That’s exactly why you sometimes see businesses with 3 or 4 stars ranking higher than 5* businesses. So if you have some bad reviews, the only way to get exposure on yelp, is to pay for the guaranteed page views. You know that means? YELP MAKES MONEY OFF NEGATIVE REVIEWS AND LOWER STAR RANKINGS. This in a nutshell is yelp’s business model. So back to my calls with Yelp sales. I start explaining this each time I get a call and that why would I pay etc?. I start highlighting that there’s something very untoward going on and give them direct examples I’ve found; That other local businesses that have less reviews than me, from dubious sources (brand new, not active yelp users) but they don’t get filtered and that the differentiator is solely that they advertise. Sales people start getting pissed at me, until one day when i start bring this up again they go “Well, you’ve received a lot free advertising for for your business and it’s about time you you paid us for all that exposure” I’m thinking what the F#ck? So i say “hold on, you’re a free review site, that’s your whole consumer spiel. I don’t owe you anything”. She finally snaps “Actually We’re NOT a review site, we’re a commercial listing site for advertisers, and you haven’t paid!”. She suddenly realize what she had said and tried to backtrack but I ended the call at that point. And there you have it. Don’t be fooled as to what yelp is; It’s not about reviews. It’s not about providing business info or a place for consumers to leave their thoughts or use as their food blog. It’s purely a commercial advertising service, that uses the threat of negative reviews and their position in the market to leverage money from businesses. yelp makes money from bad reviews and businesses that need to repair their reputation (probably yelp’s fault in the first place lol). I have to agree completely with Tommy; as a somewhat new business owner on yelp, I have experienced this EXACT same treatment, regarding my reviews, by YELP. It is no coincidence that every time I firmly tell them no on purchasing any advertising, there is a removal (transfer of a review labeled “recommended” to a review labeled “not recommended”) of a 5-star review, on my page, within a day, contributing to a lower overall rating of my business on YELP.